Older adults, 65 years of age or older, have to face unique biological and psycho-social challenges: aging bodies, the accumulated effect of habits, chronic conditions, changes in neurological and social configurations, and significant loss of control. The best preventive care is active health promotion and access to services for early detection and support (The State of Ageing, 2013). As a society, we need to foster a culture of wellness that helps older adults and their support systems develop healthy habits and access support for wellness. In the US, the Center for Disease Control and Prevention (CDC) shows increasing attention to policies for primary, secondary, and tertiary prevention approaches with older adults and their support systems. The report The State of Aging and Health in America (The State of Aging, 2013), offers data on indicators of older-adult health, calls for action, and information to inform the public and public policy makers in developing interventions to support older adults. Existing primary, secondary, and tertiary prevention strategies. In 2005, the Center of Disease Control developed the Healthy Brain Initiative (The Healthy Brain, 2005) to address the challenges posed by the increase in Alzheimer and cognitive problems in the aging population. At the primary level of prevention, the CDC developed screening tools and resources for research to understand Alzheimer, and inform public policy and interventions (Day, McWire, & Anderson, 2009). At the secondary level, coordination with local government systems and the community took place in order to reduce the impact and progress of the disease once it was diagnosed. Interventions are in tune with research that points to the benefits of engaging cognitively impaired adults in physical and cognitive training (Heyn, Johnson, & Kramer, 2008). 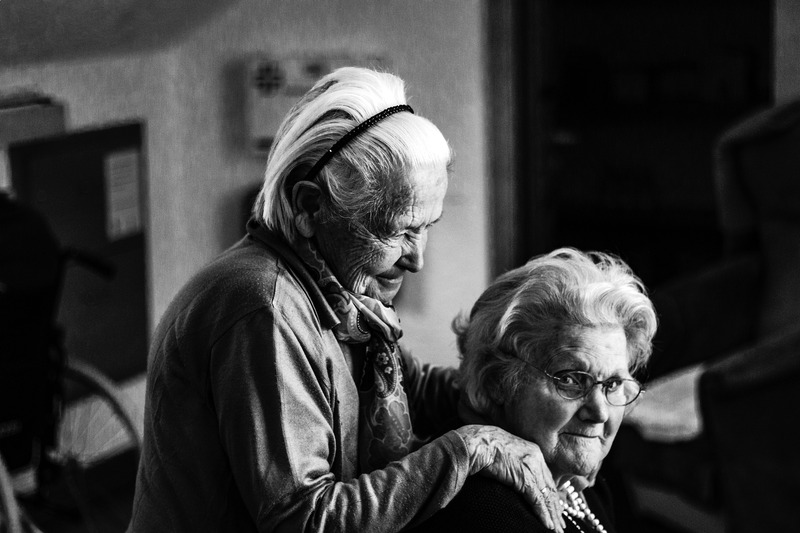 At the tertiary level, services aimed to help elders and their social groups manage the long term effects of Alzheimer, improve their quality of life and life expectancy (The State of Aging, 2013). Interventions included controlling vascular factors through diet, blood-pressure control, and physical activity. Other interventions included self- management support and education of support systems (Day, McWire, & Anderson, 2009). Another area of primary, secondary, and tertiary preventive interventions to benefit older adults is health literacy. Health Literacy of older adults refers to their capacity for “obtaining, communicating, processing and understanding health information and services [to make] appropriate health decisions” (The State of Aging, 2013, pg. 18). Even thought older adults show increasing interest in being informed about health matters and taking control of their own care, they show the lowest health literacy level of all age groups (Manafo & Wong, 2012). To address this need, the CDC developed the initiative Health Literacy (www.health.gov/communication/literacy/) which offer tools and resources to older adults, their support systems, including family, providers and administrators. The aims of this initiative are to provide easy to access health information, and approaches for helping older adults understand health information and make healthy choices. Primary prevention aims to educate providers on how to offer easily accessible health information in order to prevent misinformation and build health education in all adults. Fostering a culture of health promotion in providers and family members can help develop positive habits that promote wellness and resilience (Young, 2994). Secondary prevention interventions aim to facilitate access to health information to help older adults and their support systems access resources to attend to psycho-bio-social needs that promote wellness. Tertiary preventive strategies include proactively seeking to educate older adults on issues that are currently affecting them, in order to manage disabilities and distress and improve current functioning and quality of life. Older adults are not a separate specie, but a very integrated part of how we function, as a society, as a whole. The current health care system, based on the medical model, continues to invest its resources mostly on illness and cure rather than prevention and wellness (Granello & Witmer, 2013). I would like to propose an intervention that will change the culture of the health care system serving older adults and will actively promote prevention and wellness in health care provision. I propose to create the health care role-agent “Wellness Educator”, modeled after the role Health Educator so successfully implemented in reproductive and sexual health care throughout the country. I have been fortunate to work as health educator in NYC for four years. Health educators serve as agents of engagement, education, advocacy, and facilitation of services by working with clients and providers, in their natural environments, e.g. clinic or community, to facilitate the best use of preventive and clinical reproductive health care services. Health educators work closely with patients and providers in order to facilitate access to information and successful use of public health and medical services. As mentioned earlier, older adults experience multiple conditions and their understanding of health information and healthy lifestyle options is limited. This is in part due to a health care culture that focuses on vertical provision of information and services, with a focus on treating diagnosed conditions, and, I believe, little faith that investing in behavior modification in older adults is possible. By creating the role Wellness Educator in the health-care system serving older adults, we would be making a concrete stand on our commitment to provider older adults with the support to effect behavior changes, become educated, empowered, and proactive in preventing conditions and managing occurring ones. Wellness educators would be, as health educators are, posted in clinics and any context where services to the elderly are provided. As a form of primary prevention, they would engage older adults, their families, and the community in becoming aware about prevention and wellness strategies, how to access preventive services, health literacy, and resources to promote well-being before any condition is developed. At a secondary prevention level, wellness educators would help older adults and their support systems learn to interface with the medical system and build self-management strategies for attending to their needs. As part of Madicare & Medicaid services, and any other kind of managed care, an adult would have to meet with the Wellness Educator once a year or on a set point in the process of engagement with the health care system. The Wellness Educator would carry out an intake assessment, that would collect information on historical health information, current perceived challenges, psychosocial variables, like support systems, stressors and resources, living conditions, current routines, socialization, habits, spirituality, education, parameters in wellness. The wellness counselor will present as caring, supportive, knowledgeable, respectful of diversity, and professional. Like with Health Education, Wellness Education could be a field that could be practiced without a license, at the Bachelors or Masters level, with the proper training dictated by the strategies utilized by the health-care setting where the agent would function. Wellness Education could become a powerful force of impact in the health care system, by helping promote salutogenic, preventive, and wellness-oriented interventions that would help older adults develop healthier habits and choices. If you have questions or comments, please don’t hesitate to contact me. I look forward to communicating with you. Day, K., McGuire, L., & Anderson, L. (2009). The CDC Healthy Brain Initiative: Public Health and Cognitive Impairment. Journal of The American Society on Aging. 33(1) 11-. Foster, T. & Levitov, J. (2012). Wellness During Middle and Older adulthood: A different Perception. Adultspan Journal, 11(2): 66 -76. Heyn, P., Johnson, K, and Kramer A. (2008). Endurance and Strengths Training Outcomes on Cognitively Impaired and Cognitively Intact Older Adults: A Meta-Analysis. Journal of Nutrition, Health & Aging. 12(6): 401-409. Kutner M., Greenberg E., Jin Y., & Paulsen C.. The Health Literacy of America’s Adults: Results from the 2003 National Assessment of Adult Literacy. Washington, DC: National Center for Education Statistics, US Dept of Education, 2006. NCES publication 2006-483. McMahon, S. & Fleury, J. (2012). Wellness in Older Adults: A Concept Analysis. Nursing Forum, 47(1): 39-51. Young, R. (1994). Older People as Consumers of Health Promotion Recommendations. Generations. 18(1) 69-74.